At Kees Chiropractic & Laser Center, our professionals are fully trained and experienced to provide you with the best chiropractic care. We want you to trust that you are getting the highest quality care each time you come to see us. But we're also people just like you - we have families and pets, we are parents, we participate in sports activities. We combine our expertise and professionalism with a personal, responsive and caring attitude to make you as comfortable as possible with our practice - whether you're sick or well. Dr. Brad grew up in Juda, WI. He was in 3rd grade he started seeing a doctor of chiropractic for his athletic activities and sleep disorder. His entire family utilized chiropractic care for low back conditions, headaches and chronic sinus infections. Dr. Brad graduated from the University of Wisconsin - Platteville with a Bachelor of Science degree in Biology with a pre-med emphasis as well as a four-time letter winner on the football team. He graduated from the Palmer College of Chiropractic in 1999 with a Doctor of Chiropractic degree with honors in research. Dr. Brad has been practicing in the Fort Atkinson area since January 2000 as part of a larger group. 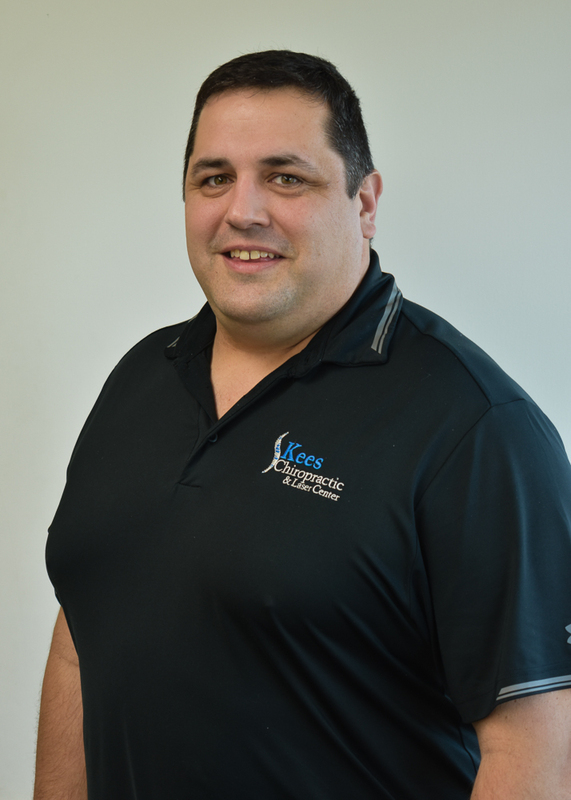 In October 2015 Dr. Brad left group practice and formed Kees Chiropractic and Laser Center. Dr. Brad utilizes various adjusting techniques and therapies, including laser therapy. He is also certified through the state of Wisconsin to provider nutritional counseling and sell supplements. Dr. Brad lives in Fort Atkinson with his wife and 2 children. In his free time, he enjoys golfing and watching his children play sports. Gina grew up in Milton. Gina’s chiropractic journey started when a friend recommended her to start seeing a chiropractor. She was not in any pain or having any issues but realized through exam and x-ray that she had structural issues. Gina was one of those cases that got worse before she got better and now lives an alternative healthy lifestyle. Gina started working for Dr. Brad in 2008. Through her employment she has advanced her career as a Chiropractic Technician and is currently the office manager as well. She loves being able to educate and help people through all phases of their care. In her free time, Gina spends time with her family and friends and loves to travel.